Known for his role as one of the original members of Duran Duran, Stephen Duffy is a consummate songwriter. He went on to form The Lilac Time, was probably best know for his ‘Kiss Me’ song under the guise of Stephen ‘Tin Tin’ Duffy and eventually wound up writing for Robbie Williams. This track shows his willingness to take different directions with his music and is taken from the album Lilac Time and remains my favourite Lilac Time song although it remains a mystery as to why it’s called Trumpets From.. This is a perfect summer record. Enjoy and search out his other material. If anyone would like to write an entry page for The Lilac Time it would be great! Hello BMA. Let me enlighten you on the title of the above tune. 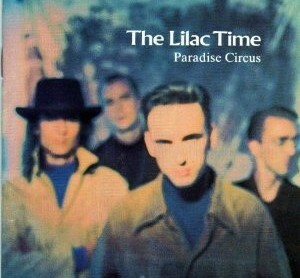 We rehearsed for the recording of The Lilac Time’s eponymous debut album in the house shown on the cover. It was a house well-stocked with books. Searching for a name for this tune I scanned the bookshelves. ‘The Climate of Uckfield’ was considered but ultimately rejected in favour of ‘Trumpets From Montparnasse’, an autobiographical work by the artist Robert Gibbings. And I think that Nick wrote this track rather than Stephen?